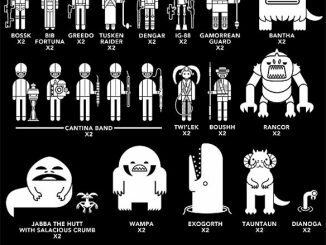 Decorate your home of office with these Roommates Star Wars Classic Wall Decals. 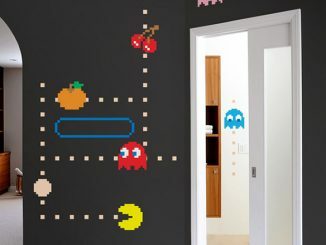 These peel and stick wall decals are perfect for places like offices and dorm rooms, because these stickers are easy to remove and reuse. 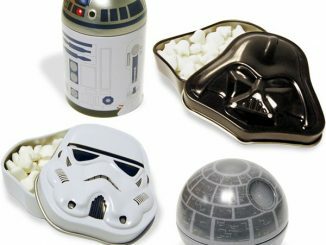 Although this set comes with 31 Star Wars wall decals, it is cheaply priced. 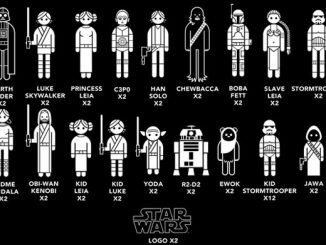 You get the most popular characters from the original trilogy including Darth Vader, Luke Skywalker, Princess Leia (Slave Leia! 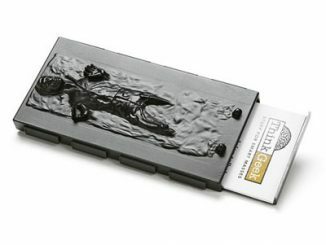 ), R2-D2, C-3PO, Han Solo, Chewbacca, Yoda, Boba Fett, and a Stormtrooper. You also get popular vehicles like an x-wing fighter, the Millennium Falcon, Death Star, Tie Fighter, and a Star Destroyer. 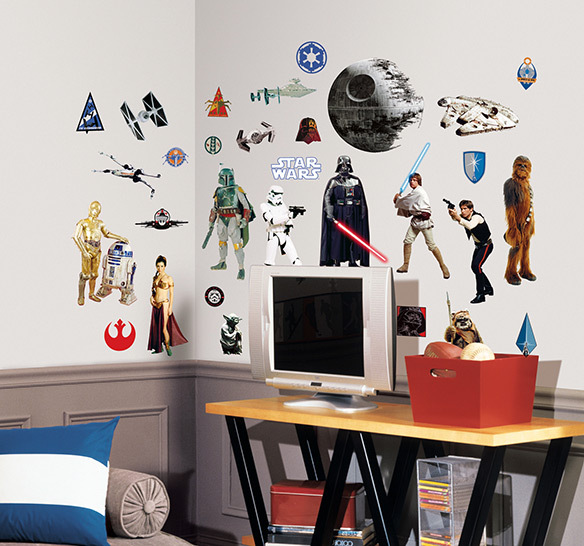 Relive the tales of the timeless Star Wars saga with these classic wall stickers. 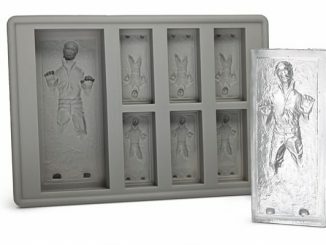 Each set includes your favorite characters, like Luke Skywalker, Han Solo, Princess Leia, Darth Vader, Yoda, and many more. 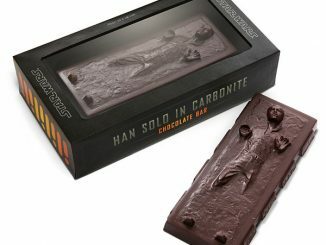 The perfect choice of Star Wars decor for both kids… and adults! 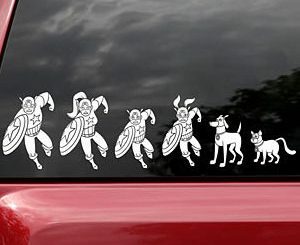 Each decal is completely removable and repositionable, so you can decorate in seconds and move the designs around as you please. 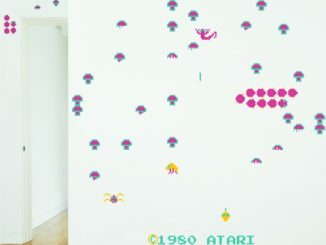 Re-create scenes from the movies right on your walls! 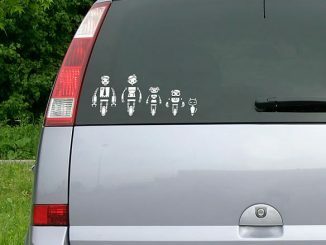 Order Star Wars Classic Wall Decals for only $13.49 at RroommatesPeelandStick.com. 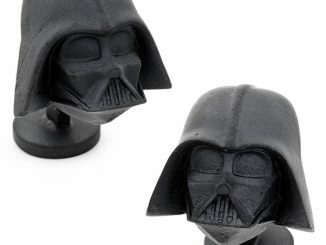 Wow these would look great in a kid’s room!